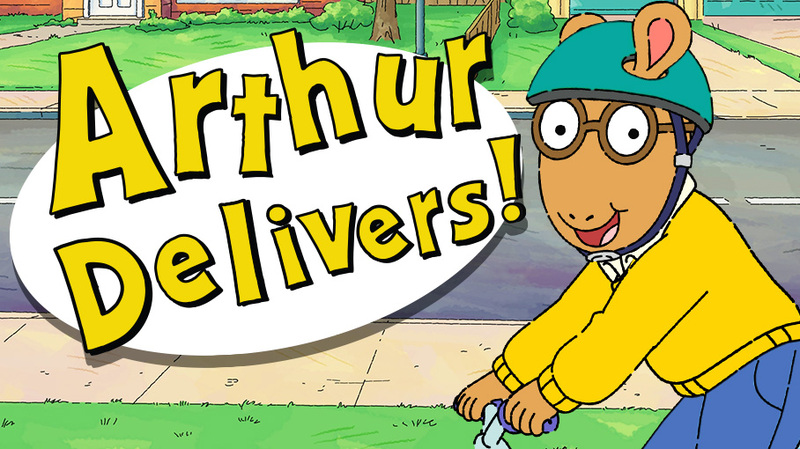 Where does Arthur deliver? Here! This fast-moving HTML5 game has players helping Arthur and his friends running a bike delivery operation. It’s our first original game for PBS KIDS’s new Kart Kingdom virtual world and players can enjoy power-ups (or powers-up) as they play. Or they can just enjoy the game at the ARTHUR website. The game was produced by Gentry with Jeff and Alex, with thanks also to Melissa, Dennis and Kal.